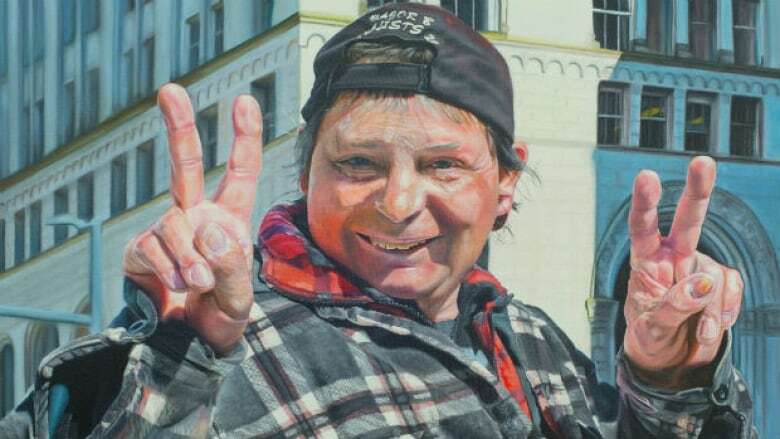 Alex Sandvoss works at an art store on Vancouver's Downtown Eastside and is giving the proceeds of her first exhibit to Megaphone Magazine and the subjects of the paintings. 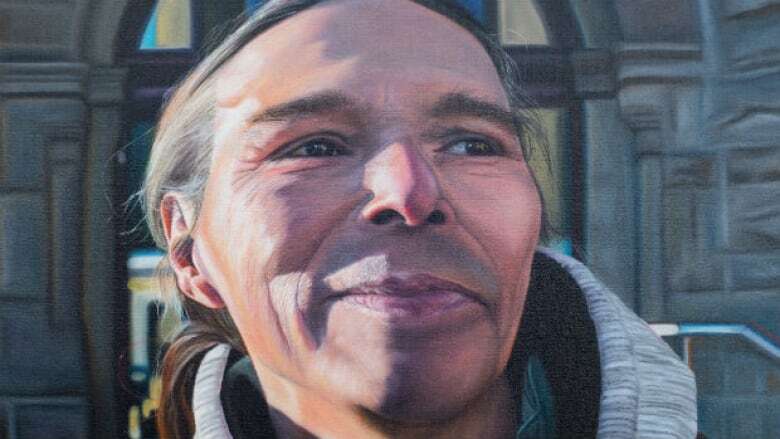 Patiently adding layers of paint with delicate brush strokes, emerging Vancouver artist Alex Sandvoss creates images of the people she's come to know on the Downtown Eastside. They're the community members — many of them Megaphone Magazine vendors — Sandvoss runs into while working at Opus Art Supplies on Hastings and Cambie streets, across from Victory Square. "Every morning I'd pass a man selling Megaphone and we became friends and he sold me my first issue and that awakened me to the reality of people there and everywhere really. And I just thought he'd make a great subject for a painting." The exhibit, Faces We Pass By Everyday, has 11 portraits in oil in a variety of sizes. They're for sale with partial proceeds going to Megaphone Magazine and the subjects themselves. 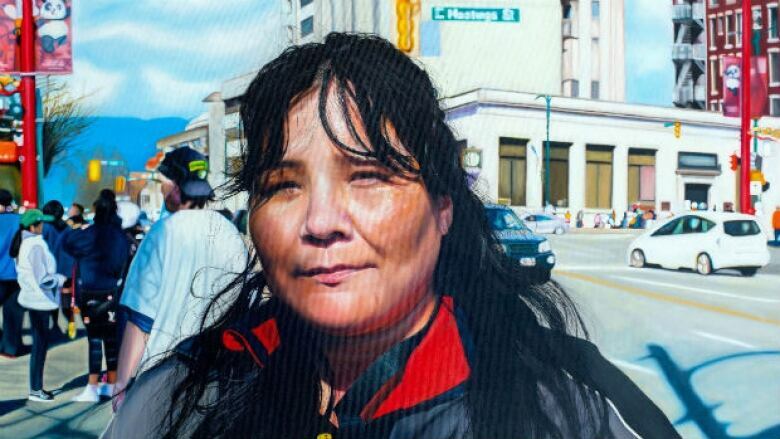 This portrait of Raven (Pay-ka-a-gun) standing outside the Carnegie Centre will be at Visualspace Gallery until July 12. Sandvoss uses a technique that results in realistic portraits. First, she takes hundreds of photos to find a natural representation of the person. Then she painstakingly applies paint with tiny brushes to build the images. "So I can get eyelashes and pores and really detailed work. They take a few months and take a lot of layers and patience." It's important to Sandvoss that her subjects like how they've been painted. She wants to offer them dignity along with admiration. She also wants the subjects to speak for themselves and tell their own stories. Some of them will be visiting the gallery during the exhibit. But even if people just come to look at the portraits, Sandvoss hopes they take away a key message. "I think it's important to look up sometimes. We are very much connected to our technology now. Just having a sense of community and connection and bonding with other people — that is something that is really important." The exhibit is at Visualspace Gallery and runs until July 12.